Here are links to a couple of timely articles discussing the issue of much-needed prison reform in America http://www.economist.com/node/16636027 Rough justice in America Too many laws, too many prisoners Never in the civilised world have so many been locked up for so little Jul 22nd 2010 | Spring, Texas http://www.aolnews.com/surge-desk/article/will-president-barack-obama-take-on-prison-reform/19577278 Will Obama Take On Prison Reform? Prison Reform: Will Congress Finally Move Forward? 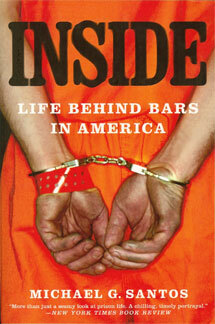 By Michael Santos · Thursday, July 1st, 2010 · Comments Off on Prison Reform: Will Congress Finally Move Forward?